December 15, 2014 – (, Anchorage, AK 99503, US) – Contracts Manager (2068-205) Click here for full details. December 13, 2014 – (, Sunnyvale, CA , US) – Senior Product Manager – Dev Ops Application Delivery Management Click here for full details. December 13, 2014 – (, Sunnyvale, CA , US) – Senior Product Manager Application Lifecycle Management (ALM) Quality Center Click here for full details.  December 12, 2014 – (VA, Jonesboro, Helena, Arkansas , USA) – We are currently bidding on a project with the VA to provide medical services to veterans in the Jonesboro and Helena area, Arkansas Click here for full details. December 12, 2014 – (, GARDEN GROVE, California 92841-1412 , United States) – ELECTRICIAN Click here for full details. December 12, 2014 – (, GARDEN GROVE, California 92841 , United States) – LEAD DIRECT MECHANIC A Click here for full details. December 12, 2014 – (, Palo Alto, California 94304 , United States) – Director of Business Planning and Finance Click here for full details. December 12, 2014 – () – All-Source/Technical Threats Analyst (Sr-Level) Click here for full details. December 12, 2014 – (APG/EA, MD, APG/EA, MD 21009, USA) – Program Analyst III (2899) Click here for full details. December 12, 2014 – (, Dahlgren, VA 22448, US) – Administrative Assistant – ACCESS (2064-205) Click here for full details. December 12, 2014 – (, Dahlgren, VA 22448, US) – Secretary II – ACCESS (2063-205) Click here for full details. December 12, 2014 – (, Seattle, Washington 98101 , United States) – Trust Analyst Click here for full details. December 12, 2014 – (, Bellevue, Washington 98004 , United States) – Tax Manager/Senior Manager Click here for full details. December 12, 2014 – (, Bellevue, Washington 98004 , United States) – Tax Associate/Senior Click here for full details. December 12, 2014 – (Gemological Institute of America, Carlsbad, CA 92008, United States) – Entry Level Position/Paid Training Program- Diamond Grader at GIA Click here for full details. December 12, 2014 – (, Salt Lake City , Utah 84104 , United States) – HVAC Technician Click here for full details. December 11, 2014 – (, St. Louis, MO , U.S.) – GEOINT Analyst (Aeronautical Intelligence) Job ID 20150011 Click here for full details. December 11, 2014 – (2000 Clearwater Dr, Oak Brook, IL 60523, United States of America) – Customer Operations Coordinator Click here for full details. December 11, 2014 – (San Diego, La Jolla, Carlsbad, Carlsbad, CA 92008, USA) – Financial Representative Click here for full details. December 11, 2014 – (, Stevens Point or Appleton, WI , ) – Customer Service Manager Click here for full details. December 11, 2014 – (USA, Chantilly, VA , USA) – Vice President Special Programs Click here for full details. December 11, 2014 – () –  Program Management Division Director Click here for full details. December 11, 2014 – () –  Financial Analyst Click here for full details. December 11, 2014 – () –  OPNET Developer Click here for full details. December 11, 2014 – () –  Senior Enterprise Architect Click here for full details. December 11, 2014 – () –  Electrical Engineer Click here for full details. December 11, 2014 – () –  Senior Systems Analyst Click here for full details. December 11, 2014 – () –  Computer Engineer Click here for full details. December 11, 2014 – () –  System Administrator/Analyst Click here for full details. December 11, 2014 – () –  Technician Click here for full details. December 11, 2014 – () –  Senior CM Specialist (Software) Click here for full details. December 11, 2014 – () –  Junior CM Specialist (Software) Click here for full details. December 11, 2014 – () –  Senior Database Manager Click here for full details. December 11, 2014 – () –  MCD Software Developer Click here for full details. December 11, 2014 – (, San Diego, California , ) – BUSINESS SYSTEMS ANALYST II (Public Affairs) Click here for full details. December 11, 2014 – () –  MCD Web Application Developer Click here for full details. December 11, 2014 – () – Language Analyst Click here for full details. December 11, 2014 – () – Knowledge Management Click here for full details. December 11, 2014 – (National Capital Region, Charlottesville, VA. , USA) – HUMINT Targeting Officer Click here for full details. December 11, 2014 – () – All Source Analyst: Watchstanding (Senior-level billet) Click here for full details. December 11, 2014 – () – Foreign Investment Threat Analyst Click here for full details. December 11, 2014 – () – Foreign Denial and Deception Research Analyst Click here for full details. December 11, 2014 – () – Junior-Level Executive Support Specialist Click here for full details. December 11, 2014 – (, Huntsville, Alabama , USA) – Program Protection / Supply Chain Risk Management Analyst Click here for full details. December 11, 2014 – () – Junior Level Strategic All-Source Analyst Click here for full details. December 11, 2014 – (, Reston, Virginia , USA) – Mid-Level UFAC Editor Click here for full details. December 11, 2014 – (, Charlottesville, Virginia , USA) – Associate Budget Analyst Click here for full details. December 11, 2014 – () – All Source Analyst/Cyber Intelligence Click here for full details. December 11, 2014 – () – Defense Travel System (DTS) Support Specialist Click here for full details. December 11, 2014 – (, Charlottesville, Virginia , USA) – SENIOR BUDGET ANALYST Click here for full details. December 11, 2014 – (, Iwakuni, , Japan) – Emergency Dispatcher (IWA) JON 1073 Click here for full details. December 11, 2014 – (, Iwakuni, , Japan) – Pass & ID/Registration Clerk (IWA) JON 1231 Click here for full details. December 11, 2014 – (MCAS, Miramar, California 92145, USA) – Instructor (MMR) JON 1265 Click here for full details. December 11, 2014 – (, Anchorage, AK 99503, US) – Sr. Programmer-Analyst (2061-205) Click here for full details. December 11, 2014 – (, Crane, IN 47552, US) – Administrative Assistant (2060-205) Click here for full details. December 11, 2014 – (, Dahlgren, VA 22448, US) – Administrative Assistant – Site Integrated Warfare Systems Lab (IWSL) (2059-205) Click here for full details. December 11, 2014 – (, Houston, TX , US) – Business Operations Manager Click here for full details. December 11, 2014 – (, Sunnyvale, CA , US) – Senior Product Manager, Application Performance Engineering Click here for full details. December 11, 2014 – (, Huntsville, AL , US) – Test Engineer Click here for full details. December 11, 2014 – (, Huntsville, AL , US) – Software Engineer – Sharepoint Collaboration Click here for full details. December 11, 2014 – (, Huntsville, AL , US) – Learning and Delivery Specialist Click here for full details. December 11, 2014 – (, Huntsville, AL , US) – SharePoint Site Collection Manager Click here for full details. December 11, 2014 – (, Cleveland, OH , US) – Software Developer PL/SQL Click here for full details. December 11, 2014 – (, Dahlgren, VA , US) – Systems Architect Click here for full details. December 11, 2014 – (, Sunnyvale, CA , US) – Software as a Service Database Administrator for Vertica on Demand Click here for full details. December 11, 2014 – (, Los Angeles, California 90094, United States) – Payment Solutions and Compliance Manager Click here for full details. December 11, 2014 – (, Los Angeles, California 90094, United States) – Acountant III Click here for full details. December 12, 2014 – (, Bothell, Washington 98011, United States) – Electrical Engineer Click here for full details. December 10, 2014 – (, Washington DC Area, Dist. Columbia , United States) – Navy OPNAV Action Officer (Weapons) Click here for full details. December 10, 2014 – (, MCB Quantico, VA 22134, United States) – Network Administrator Click here for full details. December 10, 2014 – (, Leesburg, VA , USA) – Verizon FiOS Trainers, Contract Click here for full details. December 10, 2014 – (8000 Virginia Maor Road, Suite 170, Beltsville, MD 20705, USA) – Logistics / Customer Support and Case Management Click here for full details. December 10, 2014 – (, Reston, Virginia 20191, United States,) – Billing Analyst Click here for full details. December 10, 2014 – (, Dahlgren, VA 22448 , ) – Clerical Assistant/Receptionist – Part Time Temporary (2057-205) Click here for full details. December 10, 2014 – (, Dahlgren, VA 22448 , ) – Clerical Assistant/Receptionist – FT Temp (2056-205) Click here for full details. December 10, 2014 – (, Austin, TX 73301, US) – Java/J2EE developer with Struts experience Click here for full details. December 10, 2014 – (Quantico, VA, Quantico, VA 22134, USA) – Quantico, VA – Data Analyst/Database Administrator with TS/SCI Click here for full details. December 10, 2014 – () – Finance/Accounting – Tulsa, OK and Lake Mary, FL Click here for full details. December 10, 2014 – (Route 29 & Cherry Hill Road, Silver Spring, MD , USA) – Help Desk Support Technician, Silver Spring, MD, USA Click here for full details. December 9, 2014 – (Lexington Park, MD, Lexington Park, Maryland 20653, USA) – NATOPS Specialist for P-8 Poseidon Program Click here for full details. December 9, 2014 – (, Cranbury, New Jersey 08512, USA) – Department Manager – Warehouse, 2nd shift – Cranbury, NJ Click here for full details. December 9, 2014 – (Lagasse, Union City, CA 94587, ) – LAGASSE – OPEN HOUSE 12-13-14 – WAREHOUSE WORKERS 1ST-2ND SHIFT $15.00+BENEFITS Click here for full details. December 9, 2014 – (Marine Corps Base, Quantico, VA , ) – Remedy Systems Administrator Click here for full details. December 9, 2014 – (, Twinsburg, OH 44087, USA) – Department Manager – Warehouse, 2nd shift – Twinsburg, OH Click here for full details. December 9, 2014 – (Cranbury, NJ, Cranbury, New Jersey 08512, USA) – Warehouse Associate – 2nd and 3rd shifts Click here for full details. December 9, 2014 – (Memphis, Memphis, TN 38141, United States) – Warehouse Associate II – 3rd Shift, Sunday-Thursday Click here for full details. December 9, 2014 – (, Stafford, Virginia , United States) – SharePoint Developer III Click here for full details. December 9, 2014 – (Jacksonville , FL, USA 32256, Jacksonville, Florida 32256, United States) – Regional Sales Manager Click here for full details. December 9, 2014 – ( Irving, Texas, United States , 75039 , Irving, Texas 75039 , United States) – Sales Account Executive Click here for full details. December 9, 2014 – ( Dayton, Ohio, United States , 45431 , Dayton, Ohio 45431, United States) – Engineer, Signals Intelligence Click here for full details. December 9, 2014 – ( Dayton, Ohio, United States , 45431 , Dayton, Ohio 45431, United States) – Engineer, Sensor Systems Click here for full details. December 9, 2014 – ( Dayton, Ohio, United States , 45431 , Dayton, Ohio 45431, United States) – Engineer, Communication Systems Click here for full details. December 9, 2014 – ( Warner Robins, Georgia, United States, 00000 , Warner Robins, Georgia 00000, United States) – Engineer, Sustainment Click here for full details. December 9, 2014 – ( Dayton, Ohio, United States, 45431 , Dayton, Ohio 45431, United States) – Engineer, FMS/DCS Test and Evaluation Click here for full details. December 11, 2014 – (, San Diego, California 92093, United States) – Associate Director of Financial & Budget Management Click here for full details. December 9, 2014 – (, Dayton, Ohio 45431, United States) – Engineer, FMS Systems Integration Click here for full details. December 8, 2014 – (, MCB Quantico, VA 22134, United States) – Help Desk Administrator Click here for full details. December 8, 2014 – (, MCB Quantico, VA 22134, United States) – Information Assurance Analyst Click here for full details. December 8, 2014 – (, Dayton, Ohio 45431, United States) – Engineer, System Safety and Airworthiness Click here for full details.